Photographer Jörn Vanhöfen (*1961 in Dinslaken) travels the world to capture images of areas that are undergoing rapid change. They are always places where people believe wholeheartedly in permanent growth and limitless profit, for the consequences of this fatal attitude are the objects of his photographic work. 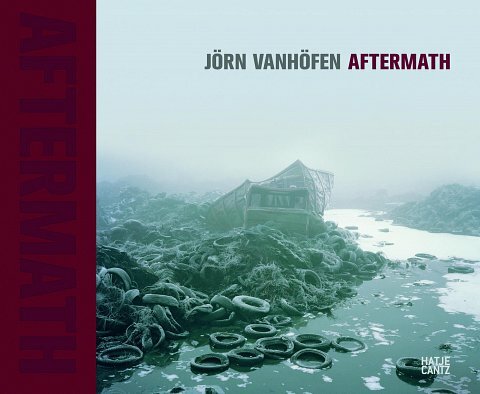 Vanhöfen journeys to Africa, Europe, Asia, and North America, going wherever the results are demonstrably obvious—from the Chicago stock exchange, the townships of Cape Town, and the scorched forests in Apulia to abandoned factories in Detroit and salvage yards in his hometown in the Ruhr region. His unique, poetic photographs depict ruins of our time. And while they may be fascinatingly beautiful, the looming consequences of our actions at the same time horrify us.